I have recently started offering custom-designed Wedding Suites! 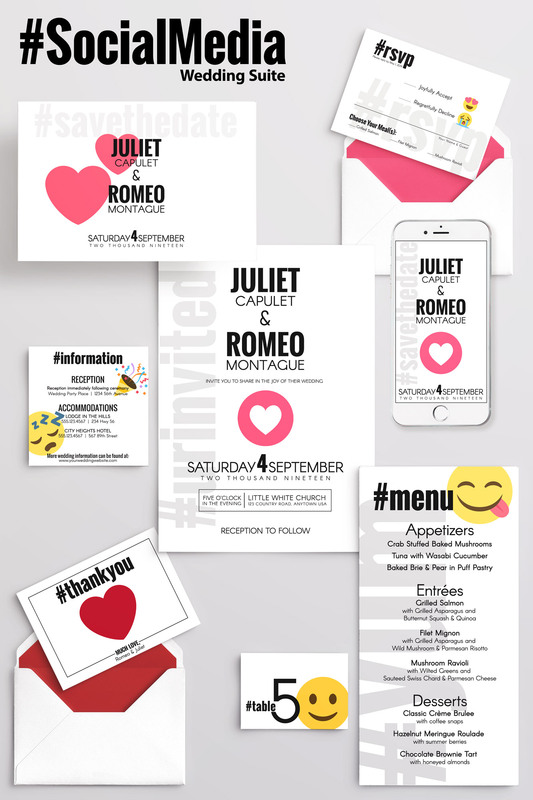 I can create everything you will need for your big day, from the Save the Dates to the Thank You cards. 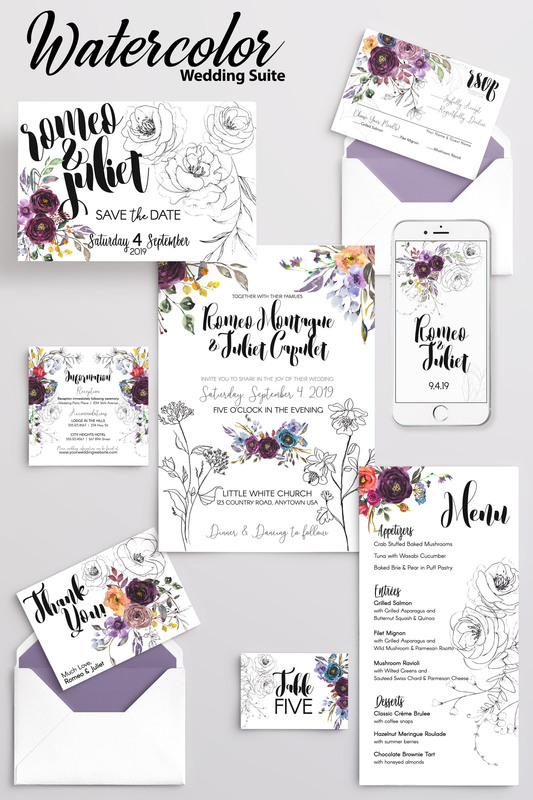 Each Wedding Suite is customized using imagery, colors and fonts that compliment the Bride and Groom. The standard Wedding Suite cost is $800 and includes: 100 Bride & Groom name cards; 100 Save the Date cards; 100 RSVP Cards & Envelopes; 100 Invitations & Envelopes; 100 Guest Information Cards; 100 Menus; 100 Thank You cards & Envelopes; and a Social Media Bundle that includes an animated Instagram Story and a Facebook cover photo! Any other items you need can be added, such as Programs, Table Number cards, or Bridal Registry cards, etc. Wedding suites can be designed to match your wedding colors and/or theme – the possibilities are endless! See some different sample designs below. Contact me today to find out more about custom Wedding Suites!